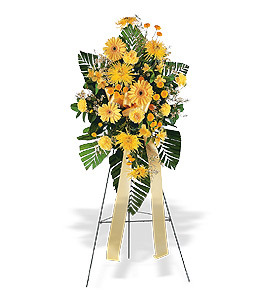 This spray offers an array of bright yellow flowers in tribute to a joyous life. One standing spray arrives on an easel with yellow alstroemeria, carnations, chrysanthemums and gerberas. Page loaded in 0.5211 seconds.